Japan Inc’s overhaul faces a Sharp test. The ailing electronics group appears set to choose a state-backed rescue over a higher-looking proposal from Foxconn of Taiwan. If Japan puts industrial policy first, that would directly contradict the government’s huge push to make companies more shareholder-friendly. On the face of it, the two competing proposals look very different. Reuters says the state-backed Innovation Network Corp of Japan has put together a rescue package that would see it invest 300 billion yen ($2.5 billion) in Sharp, with 350 billion more of bank financing, including a 150 billion debt-for-equity swap. Meanwhile, the Wall Street Journal says Foxconn could pay 625 billion yen, including 225 billion to buy out preference shares given to banks as part of a previous bailout. Assuming the other 400 billion yen all goes to existing equity holders, the offer would be far above Sharp’s current market capitalisation of 218 billion yen – and 100 billion yen more than INCJ is apparently offering. It’s hard to see why Foxconn is so keen. And INCJ’s bid makes more sense industrially, since it would lead to consolidation with Japan Display, the country’s other big maker of screens for smartphones and tablets. Yet the company led by Terry Gou still appears to be offering a better price. If Sharp chooses the INCJ package, it will need to provide a compelling explanation to investors. These include U.S. money manager Vanguard, Dutch pension fund APG, and Norway’s wealth fund, according to Eikon. If the real motivation is paranoia about losing Japanese technology to a foreign bidder, that should not come at the expense of shareholders. The outcome has broader ramifications. Corporate Japan has only recently stopped treating investors as an afterthought. Prime Minister Shinzo Abe’s government has led a drive to improve return on equity, reduce cross-shareholdings, shrink cash piles, and demand closer supervision from stronger boards. Meanwhile, institutional investors must now disclose how they vote at annual general meetings. The revamp is meant to lure domestic and foreign investors alike into the stockmarket. A state-backed stitch-up at Sharp would set that cause back badly. The plan would represent the third bailout in as many years for Sharp, which must also weigh a proposal from Apple supplier Foxconn. The state-backed fund, Innovation Network Corporation of Japan, is widely seen as the frontrunner to rescue Sharp as the government would like to keep its technology in Japanese hands. 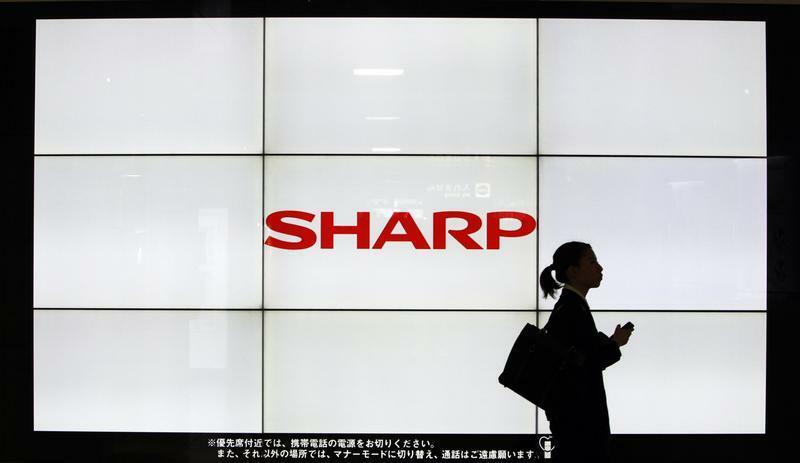 INCJ plans to later merge Sharp’s LCD business with rival Japan Display, in which it is the top shareholder, the sources told Reuters. INCJ is offering to invest 300 billion yen in Sharp, while banks were expected to offer up to 350 billion yen in financing including 150 billion yen in a debt-for-equity swap, the sources told Reuters. Taiwan’s Foxconn, formally known as Hon Hai Precision Industry Co, has offered over 600 billion yen for Sharp but has not yet proposed any detailed restructuring plan, the sources told Reuters, requesting anonymity because they were not authorised to talk to the media. Foxconn is willing to pay 625 billion yen, including 225 billion yen to buy out preference shares held by Sharp’s banks, the Wall Street Journal reported on Jan. 23, citing people familiar with the matter. It said the bidder was also willing to assume all of Sharp’s debt.